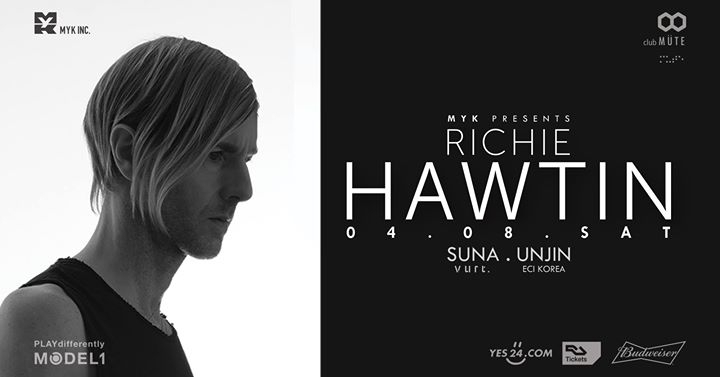 Richie Hawtin, also known as Plastikman is coming back to Seoul after 3 years, but this time in Itaewon at club MÜTE. club MÜTE (MYK Inc.) proudly announces this very special event of the year, that everyone will talk about. Richie will play his magical set with his own mixer, MODEL1 (PLAYdifferently) through our newly installed Funktion-One (Official) soundsystem. Richie will be supported by Suna (vurt) and Unjin (ECI Korea), two of few repected artists in Seoul, club MÜTE will present the most memorable night in our history.